Thanks to everyone who has followed the progress of Colorbox! Before I reveal what the quilt sold for, I'd like to give a little overview on the rest of the sale. It is held each year on the campus of Fresno Pacific University (our son and daughter-in-law both graduated from this wonderful school). The food booths are set up in a large grassy area in the center of the campus. Friday, Fresno received some much-needed rain, and while everyone was happy for the rain, anyone involved in the sale would have asked for the timing to be a bit different. The sale starts at 4 p.m. on Friday afternoon, and the food vendors needed to set up their booths, many of which needed electricity. Rain and electricity--not a good combination. However, the rain finally eased up a little, the booths were set up, the food was prepared and the turnout was good, considering the weather. Most of the sale itself is held in the special events center, aka the gym. There is a silent auction, some pre-priced comforters and other items, antiques and other treasures for sale. The auctioneers get going on Friday night already, mostly with antiques and other items that aren't pre-priced. Some curtains from the historic Ahwahnee Hotel in Yosemite (a marvelous hotel where presidents and the Queen of England have stayed) were up for bid. These curtain panels were 20 feet by 8 feet, and this one went for $500 (lots of really gorgeous fabric here--I'm envisioning tablecloths or tote bags). Several quilts are hung on a pole for viewing, and the rest are draped over giant sawhorses. If you put on a little plastic glove, you are welcome to handle them, see what the back looks like, etc. Saturday was a bit chilly. People got up early for the 7 a.m. 10k run/two-mile walk. Some stayed for the pancake breakfast. The food booths were busy. Banks like these are available every year for people who want to save their spare change. It's a great way for children to learn the value of giving and helping those not so fortunate. Our grandkids have their own banks and add money to them during the year. Here are our little "givers." The main quilt auction starts Saturday morning at 9 a.m. There is a cool turntable-type contraption that is divided in half, with a bed on each side. About fifteen quilts are stacked on each bed. One by one, two volunteers hold up a quilt to show the front, and then the back, while an announcer gives pertinent information--the size, whether it is hand-quilted, machine-quilted, tied--anything that will give the potential bidder helpful information. And then the auctioneer begins his job. After the whole stack of quilts has been sold, the turntable rotates to show the bed on the opposite side, and the process starts over again--it's a very efficient system and keeps things moving. The quilt auction stops at noon, when other special items are auctioned off. This year they drove in a '72 Porsche. I think it sold for over $5,000. Colorbox was #216 in the program, so it didn't come up for auction until after 3:30. Here they are taking it down from the pole. It's finally on the bed and ready for auction. Now you can experience a little bit of the actual auction for yourself. I was completely shocked that Colorbox sold for $5,900! My thanks to everyone who has shared the journey and to the person who purchased the quilt (who turned out to be someone I actually know!) Many lives will be helped by the money raised this weekend. I haven't heard the final tally yet, but usually over $250,000 is raised in this 24-hour period. In the meantime, we have eaten more yummy food than we care to admit (calories do NOT matter this weekend) and have connected with many friends and family. It's a win-win for everyone. And it's one of my favorite weekends of the year. Mark and I would love to make an additional donation to MCC. You can help by leaving a comment here, and we will donate $1 for every comment (so tell your friends!) Comments will be open until Saturday, April 21. Someone will win some fabric scraps. But the real winners will be needy people around the world. A few years ago Mark and I bought a couple of quilts at the MCC sale, really bright and colorful quilts. I have pondered what to do with them. When it comes to friends and family, I like to give quilts that have been made by me. So for the last couple of years these have been in a stack of quilts here at home, until Lynne from Lily's Quilts offered up this suggestion of giving something back, and I knew exactly where these two quilts were going. And it makes me feel like the goal of MCC is being paid forward to yet another part of the world. What a wonderful weekend it looks like everyone had. Your quilt did a wonderful job to contributing. WOW! This has been such a lovely story to follow. Thankyou. And your quilt... what a beautiful baby! You are extremely generous. Loved spying an old treadle in the 2nd photo! Loved the face painting! What a fantastic result! You must be very proud of your contribution!! I saw that treadle machine too! Congratulations to everyone concerned! An incredible result, for a brilliant cause. Well done you!! Wow!!! That was fun seeing the auction! You must have been dying! Congratulations! wow!!! that's awesome... terrific news about the quilt. it's gorgeous! That is totally awesome that your quilt went for so much and to a good cause! Video was fun to watch. What a wonderful 24 hours! Your quilt was beautiful. wow! That is a terrific sum to be contnributed by your quilt. Congratulationsn. Sounds like a very successful and rewarding event. Congratulations on your wonderful contribution. Absolutely Amazing! So happy your quilt raised so much money! AWESOME! I loved being able to "watch" the auction too! What an amazing event! Just to see it in person would be cool. And then to have a beautiful quilt up for auction. And then to have it sold for such a large chunk of money! You must be flying high on life. Whoever bought it is a lucky owner of your gorgeous quilt. Wow! That is great that you could help raise so much money! Your quilt is worth every penny! OH WOW! THat is so wonderful!! :) What a great event. I would love to find something like that to be able to donate too. 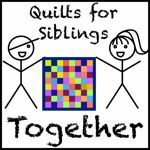 I'm definitely going to look into the quilts for siblings group. Congrats again! Oh my goodness, what an incredible result!! You must be thrilled! (I am and I didn't have anything to do with it!!) Yippee!!! So proud of you, my friend! You deserved every bit of the thrill, and your quilt was so deserving of the top honors! WAY TO GO!!! Cindy, that is INCREDIBLE! You must be over the moon! I started to tear up when I read how much the quilt raised... so beautiful! What a wonderful gift of love! I have so enjoyed following this story and am in complete awe of you, your husband and your commitment to this cause (as well as this new one!). Thank you SO much. That video totally gave me goosebumps and made me tear up once it reached the 5,000 mark! Outstanding!! Heartfelt congratulations Cindy, to you and to MCC. What a fabulous ending to the Colorbox story. I am so pleased that there are people out there who value skilled quilt work. The auctioneer was amazing and the entire event sounds like an incredible experience. Way to go!! What a sap I am..I cried when I watched the video! CONGRATS!!! You must be thrilled - all that work and love that went into it. Just think of all the people it will keep warm both directly (buyer) and indirectly (auction). I've got the biggest grin on my face! That is wonderful!! I was so excited when I saw the news on FB last night. And cool that it was hanging up... if I remember right from previous years, that's a pretty big deal too. Great video (although it made me a wee bit seasick). I'm so glad you put it up so we could hear it and enjoy the fun. What a wonderful weekend and experience. You're the best winner of them all, Cindy. You go girl! Yeah! What a great price for your beautiful work! Congratulations! That's a huge amount of money. It sounds like a fantastic fundraiser. Oh, my goodness! What an achievement! Congratulations, Cindy!! This looks like a wonderful event. I loved the clip of the auction - thank you for sharing it. Congratulations on a fabulous achievement. I really like what MCC does and you are an angel for contributing as you do. Simply amazing! Kudos for your creativity and hard work. And your generosity. So wonderful to hear that your amazing quilt did so well at the auction! I know it's special to know that it raised such a great amount for a good cause. The auction video was just right for a taste of the excitement of the day - so thanks for including the video. Congratulations on the success of your quilt at the auction. It must have been a wonderful feeling to see it go for so much to help a worthwhile cause. Fantastic quilt. What a wonderful way to contribute!! Wow Cindy! That is totally awesome how much your quilt raised! that's got to be a great feeling huh! Congratulations! It was/is a beautiful quilt and worth every penny!! AHHHHHH I FINALLY GOT IT!! hahahah you are a great teacher. ps i think my post should be worth $5 because that's how many fb posts it took to get it up there!!! I'm so pleased for you that your quilt made so much! What a blessing. Congratulations. What a fantastic outcome of the auction. What an amazing auction. Congratulations on creating something that will have such a fantastic impact on so many lives! 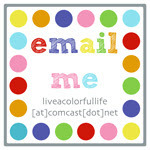 Your colorbox quilt is gorgeous!! My favorite is probably World Vision child sponsorship. Beautiful quilts! Way to put your money where your fabric stash is! Keep the Featherweight oiled and the needles sharp. I LOVED watching the live auction. I am teary eyed for you!! What a fabulous outcome!!! Congratulations again! So cool. 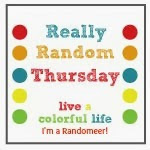 I am catching up on your blog (can you tell?). What a neat idea to give away those banks so people can save their change and donate. That's pretty cool.